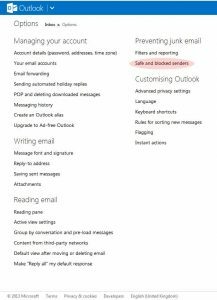 Some of our clients that use the Hotmail/MSN/Live email systems have reported that that they don’t receive emails from us or newsletters sent that they have subscribed to. This is, unfortunately, a problem that the above email providers have caused by imposing overly restrictive anti-spam filters on their systems. 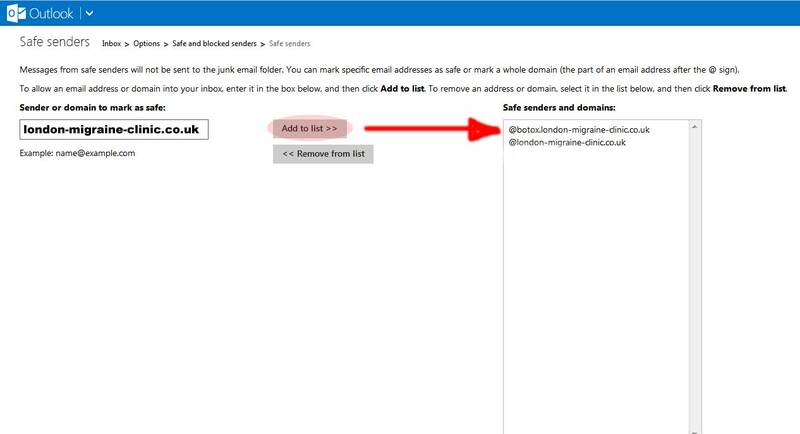 To ensure that you can receive our emails please ensure that emails from london-migraine-clinic.co.uk and botox.london-migraine-clinic-.co.uk can be received by Hotmail by entering these name in to the Safe Senders area of the Hotmail site. 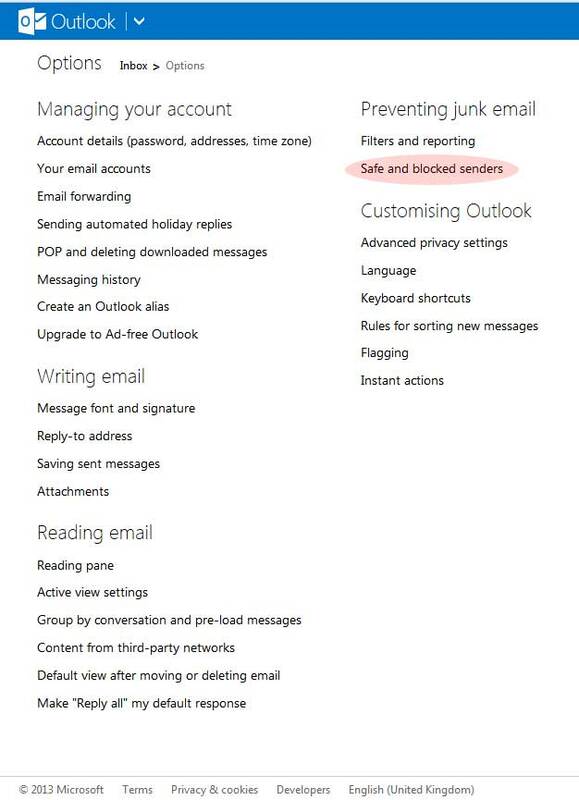 Below are instructions on how to do this using the new Hotmail Outlook email system. Just click on the thumbnail image to enlarge it.